Raised in Brunswick Junction, Nola has spent her whole life in the South West. Nola worked in an accountancy firm until she married her husband, Charlie. On the same day they were married, they bought their first dairy and beef property in Harvey. Nola worked on their farm helping to develop and grow their family business which includes their son, daughter-in-law and grandson. Their daughter also lives and works in the region. Nola has been working with and for the community her entire life, helping many community organisations. She was President of the Harvey Football Club for a decade, and she became the first female to be awarded Life Memberships to the Peel Football League and the Harvey Football Club. She’s held various positions on numerous community, regional and agricultural organisations and bodies such as being a Director and Vice Chair of Dairy Western Australia. In 1996 Nola was the ABC Regional Rural Woman of the Year. In 1997 she received a Certificate for Outstanding Service to the Community in 1997 from the Harvey Shire Council and a Premier’s Australia Day Active Citizenship Award (WA) in 2004. 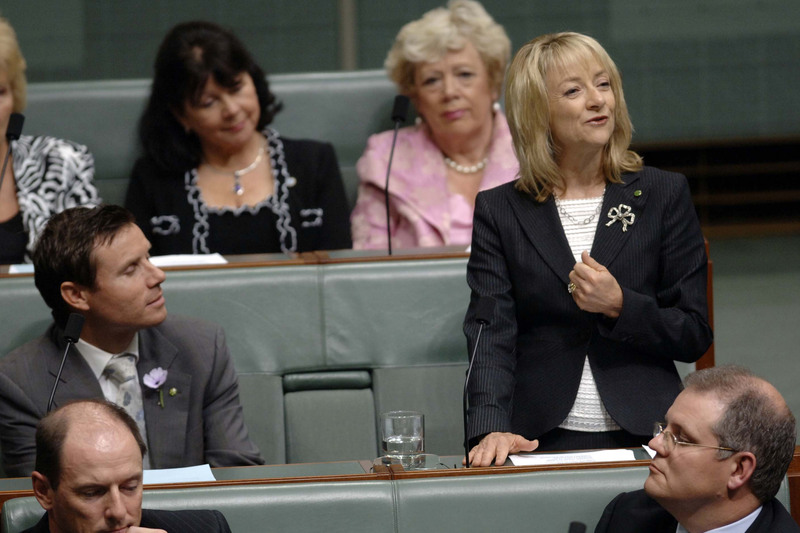 Nola was elected as the Federal Member for Forrest in November 2007. She was appointed Deputy Opposition Whip immediately upon election, and was appointed Deputy Government Whip in September 2013. On the 27 September 2015, Nola became the first female to be appointed to the position of Chief Government Whip. Nola is the Co-convener for Parliamentary Friends of Primary Producers and Co-convener for Parliamentary Friends of End of Life Care. She is an Endometriosis Ambassador and patron for a number of organisations. She has spent extensive periods of her parliamentary career on the following committees: Communications, Environment and the Arts. Nola enjoys spending time with family and friends, and passions include football, cooking, music, reading and walking.